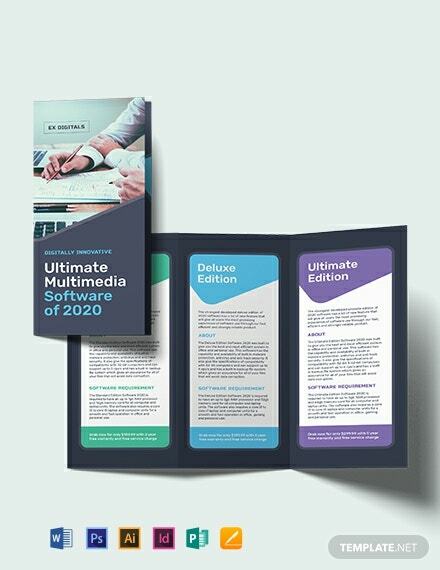 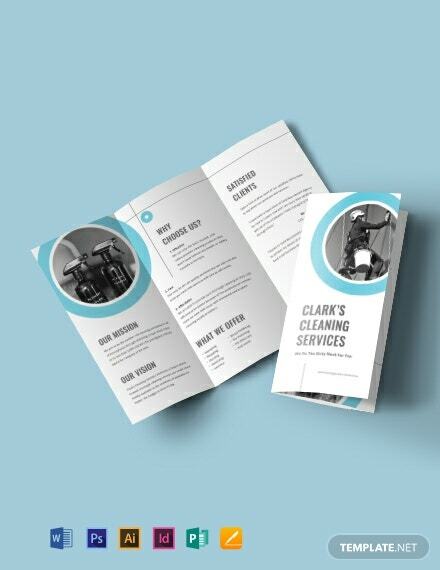 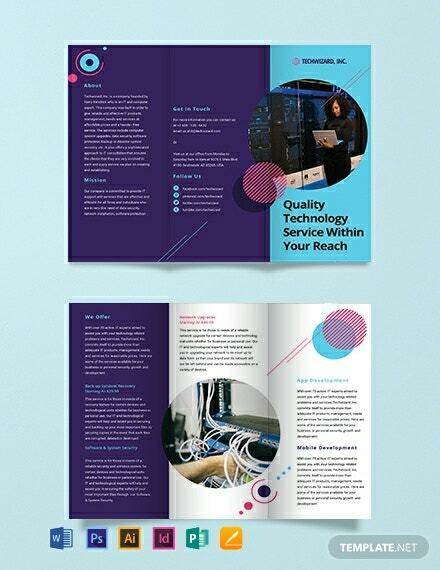 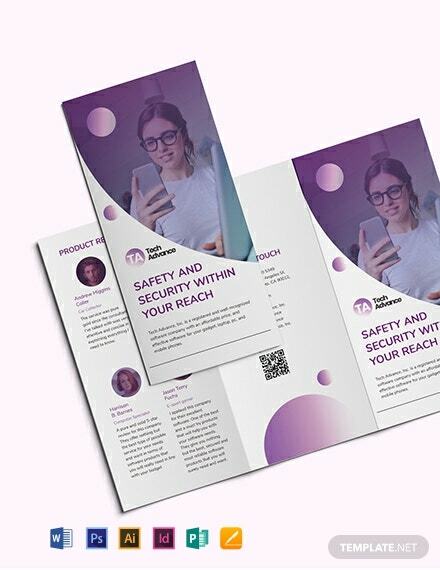 Give your advertising company the needed exposure by giving people an eye-catching brochure that can help inform them about your agency and what it has to offer. 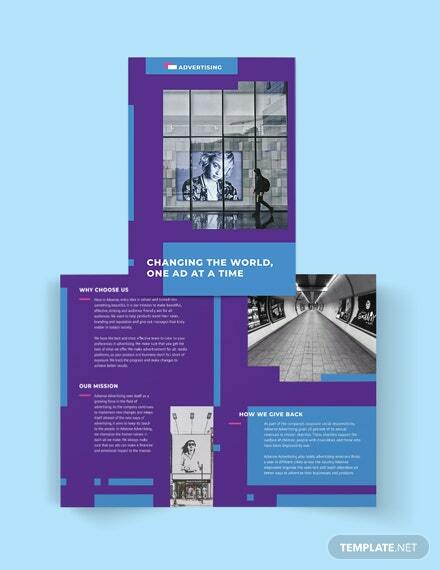 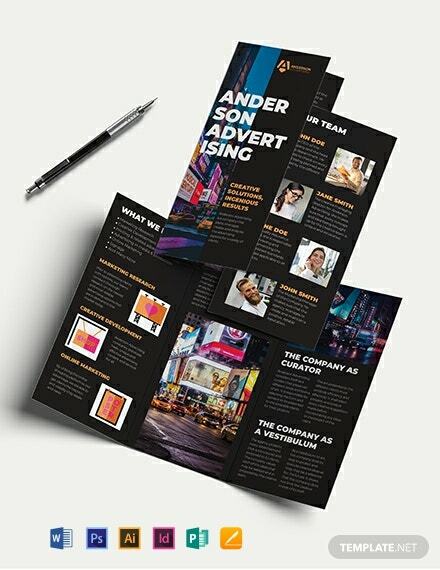 To start out, try our Advertising +More Company Tri-Fold Brochure Template! 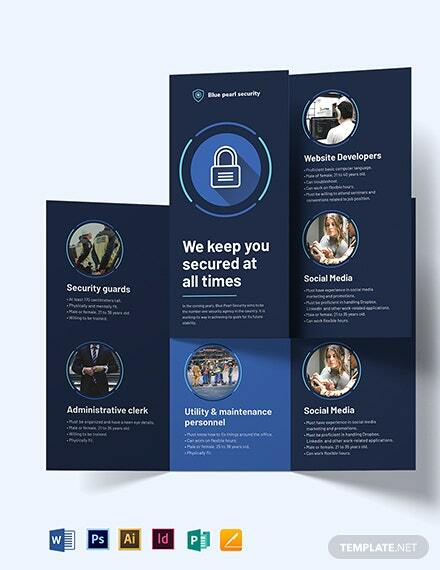 With its abundant space, it enables you to add in specific information about your business such as company overview, social media links, location, and more. 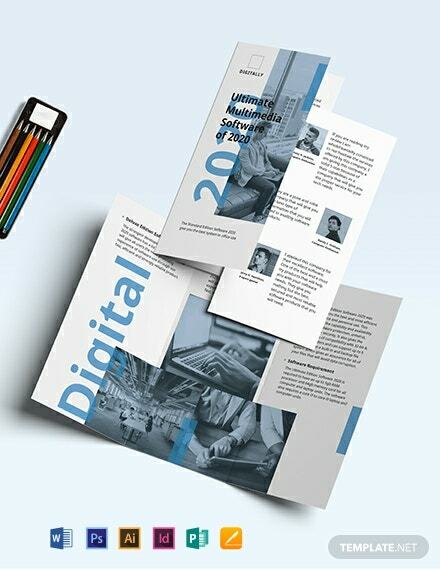 Easily personalize this versatile template until it is perfectly suited for your business. 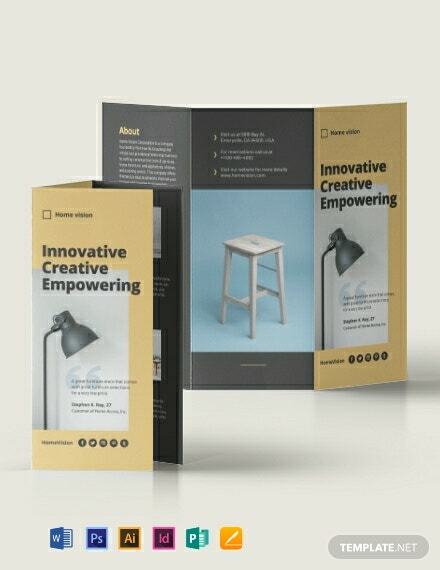 Access it on any device and open it in any of its compatible file formats like PSD, Ai, ID, Word, Pages, and Publisher. 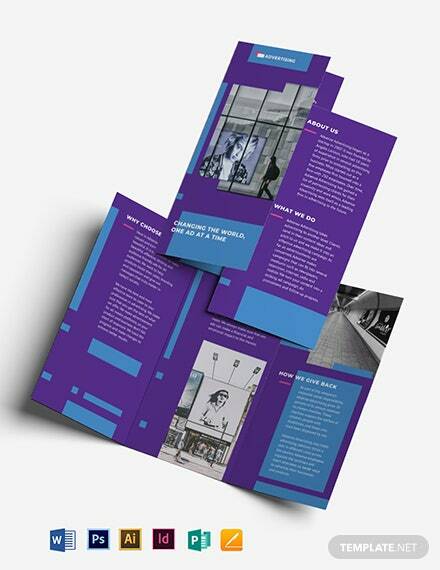 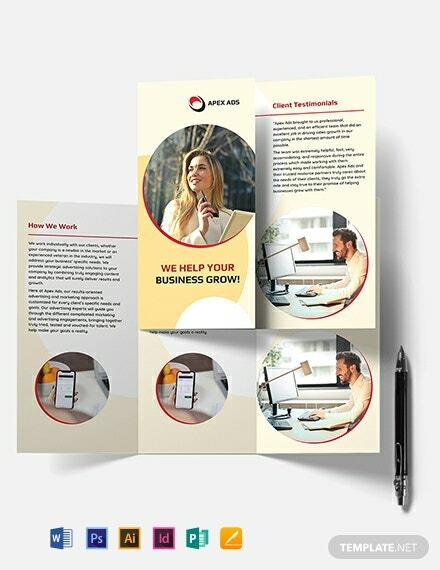 Download our Advertising Company Tri-Fold Brochure Template now!